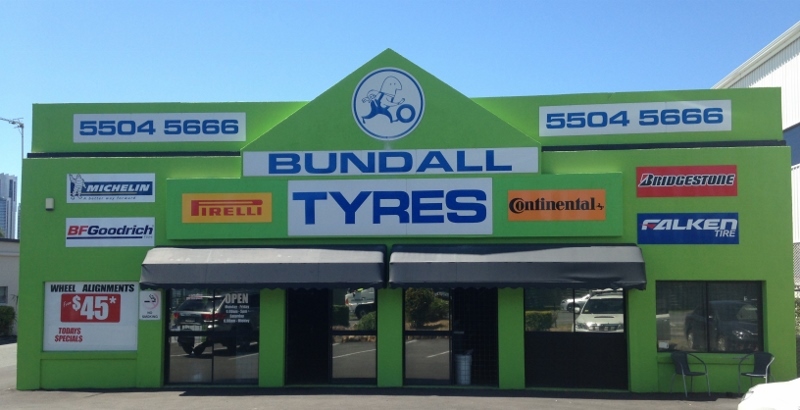 Bundall Tyres is an independent family owned and operated business specialising in selling and fitting quality tyres and wheels for passenger cars, light trucks and commercial vehicles, stretch limos, taxis, 4WD’s, SUV’s, Hummers, trailers, small busses and even caravans. Bundall Tyres is headed up by former Gold Coast Titans player Matt Petersen with a small close team of experts working alongside him. We cater for a wide range of driver needs, from recreational use, commercial use right through to car enthusiasts. We offer services such as wheel alignments, wheel balancing, tyre rotations, puncture repairs, roadworthy certificates and free tyre safety checks. If you’re planning on selling your car, getting new car tyres is one way to help maximise your car’s resale value. Need a new spare tyre? We have over 20 quality brands to choose from. We can help you get more life out of your existing tyres with a tyre rotation, we can repair your tyre puncture and we do wheel alignments. When it comes to road safety, you need tyres that you can rely on and are the right fit for your car and the type of driving you do. All new tyres we sell come with a manufacturers guarantee. To offer the best range on price we sell new and second hand tyres. We also sell a wide range of brand new wheels (alloy rims) to give your car a look that will stand out in the crowd. Come on down and meet Matt and the team today and we’ll make sure your tyres are safe for you and your family. Call in anytime any day for a free no obligation tyre safety check. There are no conditions and we’ll tell you honestly if you need new tyres. You’ll find us in the bright green building at 47 Upton Street Bundall (Gold Coast) or call us for quote on (07) 5504 5666.